Mrs. Patterson is responsible for developing and expanding client relationship with Oakworth Capital Bank. She joined Oakworth Capital in January 2018, bringing over 24 years of banking experience. Mrs. Pattersons’ experience includes 21 years with Regions Bank, where she served as Assistant Vice-President and Branch Manager. Most recently she served as Assistant Vice-President and Private Banking officer of Servis 1st Bank. Mrs. Patterson received her undergraduate degree in Finance from the University of South Alabama. She is also a graduate of the Alabama School of Banking. She is currently a Board Trustee for St. Luke’s Episcopal School and is active with Junior Achievement of Mobile. 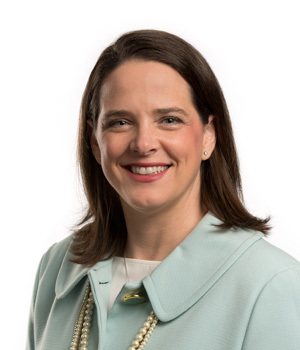 She has been involved with United Way Women’s Initiative, Back Pack for Kids, United Way Loan Executive, Big Brother Big Sister, Habitat for Humanity and Past Treasury for Girl Scouts of Southern Alabama.